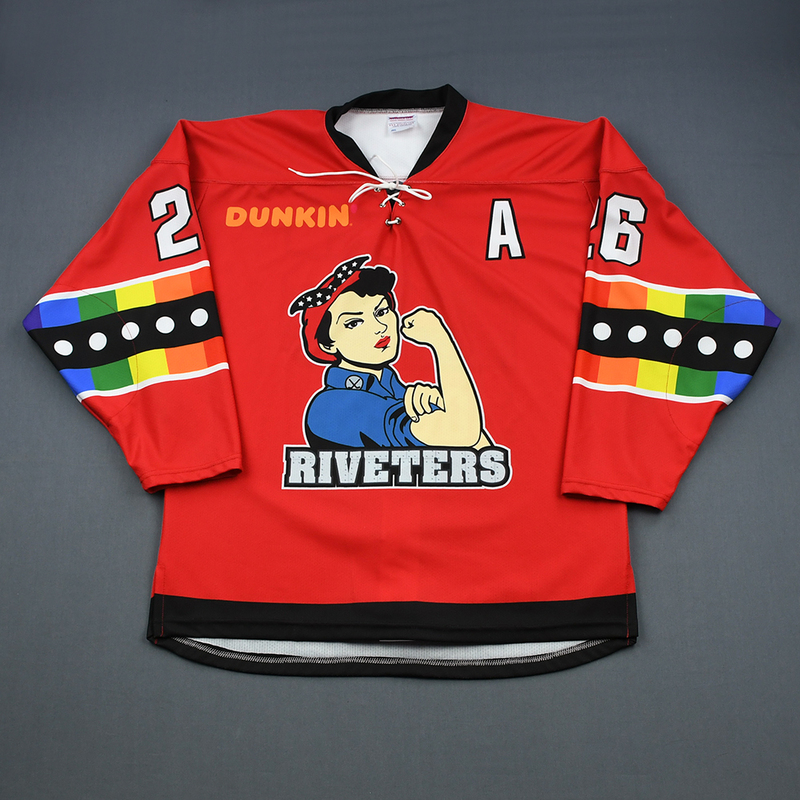 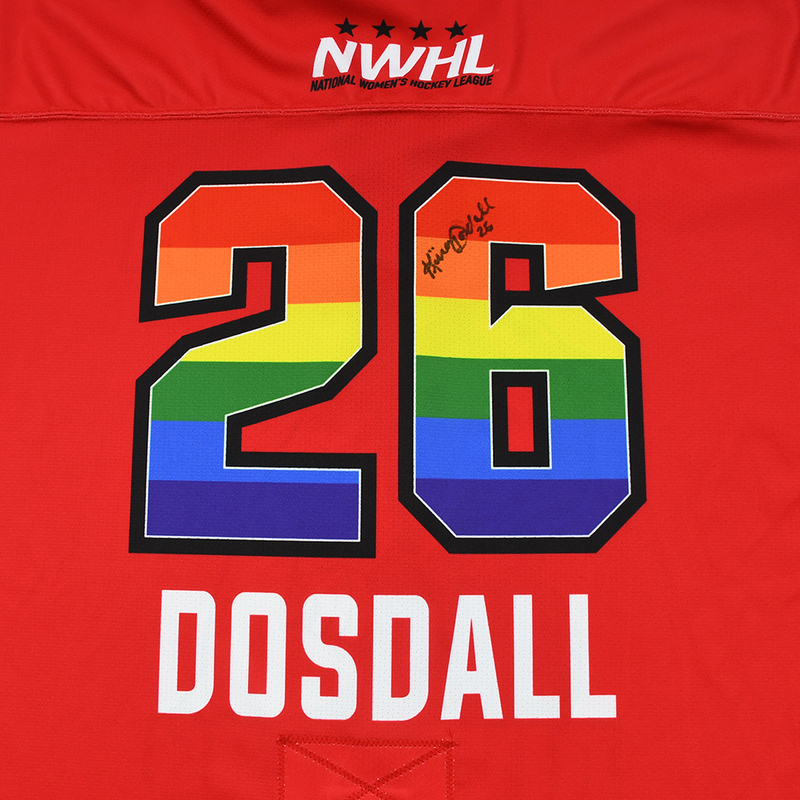 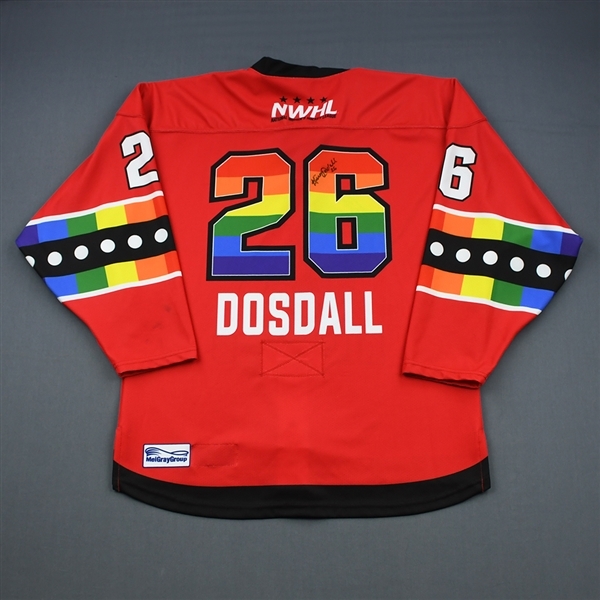 The NWHL-MeiGray Group Game-Worn Jersey Authentication Program is proud to offer fans and collectors across the globe the opportunity to own a piece of history ... the You Can Play jersey worn by #26 Kiira Dosdall of the Metropolitan Riveters. 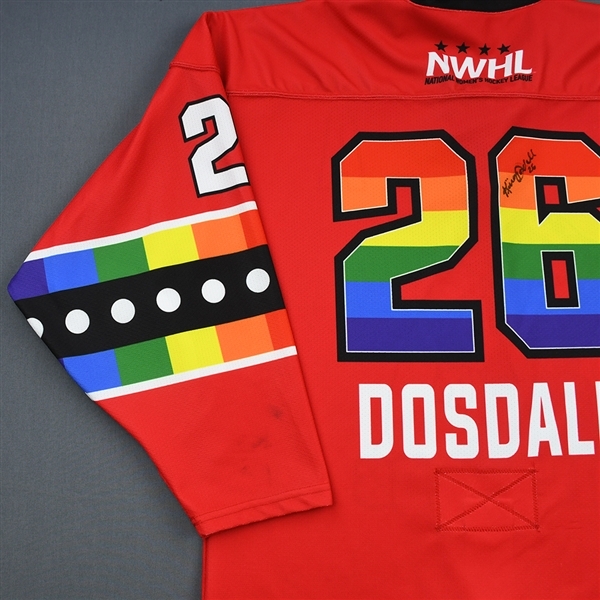 Kiira Dosdall wore this red You Can Play jersey while playing for the Metropolitan Riveters during their You Can Play Day on February 2, 2019 at Barnabas Health Hockey House in Newark, NJ. 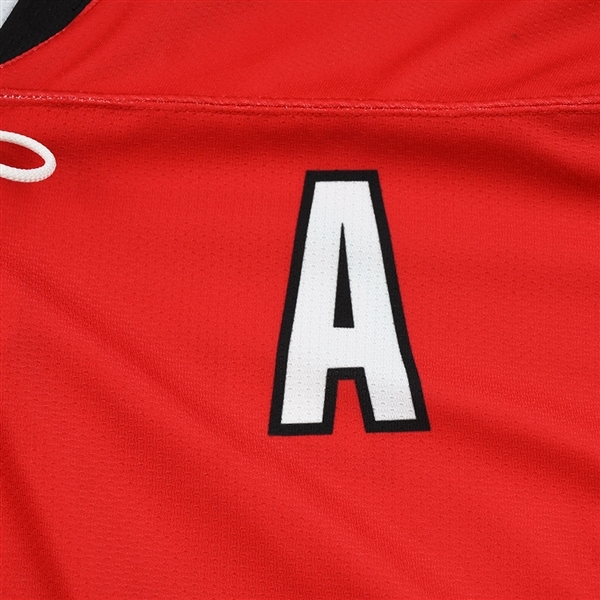 The jersey is autographed on the back and includes the alternate captain's "A." The Riveters lost to the Buffalo Beauts, 3-2. 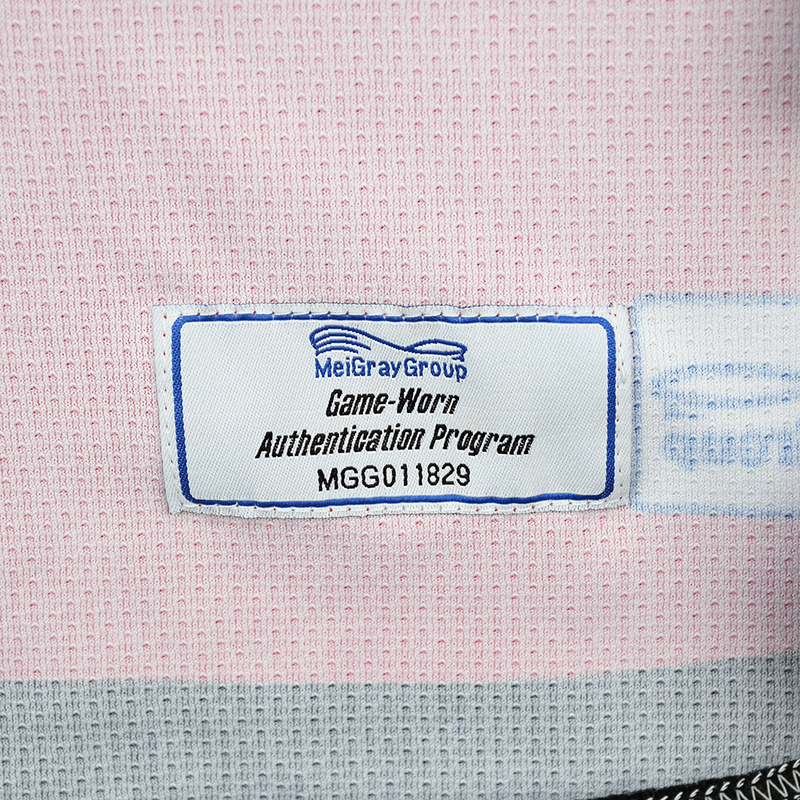 This jersey is a size LG and is registered into the MeiGray Group Game-Worn Jersey Authentication Program as number MGG011829.